The project renewed the public spaces of Babiná village center, improving the facilities, providing opportunities for traditional activities and increasing inhabitants interest in their own village. Babiná village is an advanced, economically stable village with generally good infrastructure. The village owns some surrounding forests which are one of its sources of income. It is safe and ecological village, situated in protected area of Štiavnické hills. 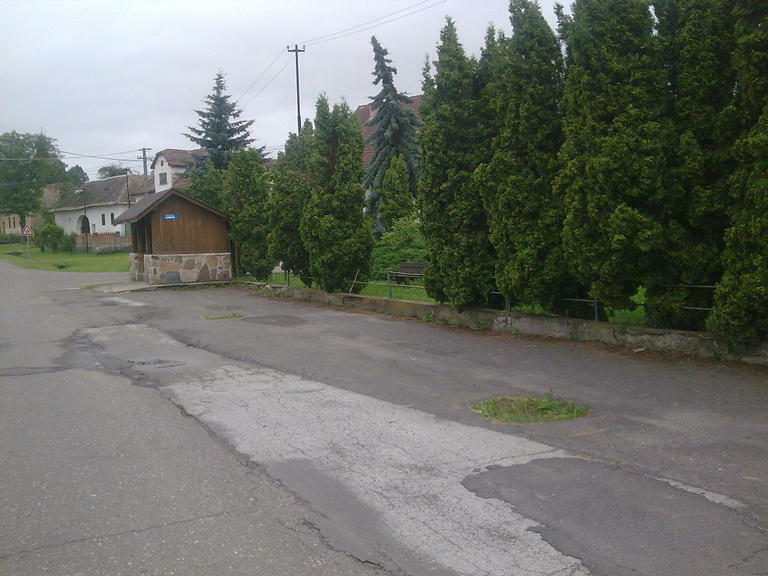 In the village center there is a small public park and an intercity bus stop. These were in very poor condition and support for renewal was conceived. The project applicant was Babiná village - represented by village mayor Jana Gregušová. The basic goal (and assumption) is that development of every village can strongly and positively influence economic potencial and standards of living. A public space renewal project with the aims of: 1) Generating a real improvement to the physical quality of the village; 2) Demonstration of a responsible approach towards village life for future generations in a healthy environment; 3) Promotion of the positive aspects of the rural 'way of life'. The main project activities were: 1) Architectural planning - arrangement of pavements, mobiliari, fitness components and bus stop; 2) Plantation adapatation - valuation of the existing condition, project documentation, outplanting scheme (of trees, bushes, flower-beds, grass-plot); 3) Improved lighting - establishment of park lightning; 4) Improved rainwater sewage - replacement of the nonfunctional rain water sewage. The park remains its original shape and boundaries. The Public Space Renewal project delivered to the village inhabitants a renovated public area in the centre of the village Babiná. The renewed park is a perfect place for: 1) getting together with friends and for spending spare time (for all age groups); 2) keeping traditions alive (for example the traditions of the public Christmas tree and raising a "May-pole" every year in May). The preparation of the village renewal project preparation increased inhabitants interest in public matters. In the contexty of village renewal it is important to let the citizens tell their opinion and listen to them. When creating a project consider not only the immediate location but also take into account the whole area and its connections and linkages. Before project approval review it step by step again. Rethink every detail to avoid the necessity of future modifications - as every additional change causes unwanted time delay.